So as writers, we’re supposed to write, right? I have to admit that I need to think of writing as my job; I need to schedule time to do it. Some days it’s difficult; often it’s just plain hard work. Sometimes it’s rewarding; other times I melt into a puddle of frustration at my inability to say what I want to say. What do you do to stay disciplined and keep writing–even when it’s tough? I’ve been an editor for a long time and have done my share of helping other people’s work sound better. Then I started graduate school at Ball State University, a full thirty years after finishing my undergrad at Houghton College and after a long career in publishing. The writing classes took what felt like dried-up creativity and infused it with new life. I could write again–for myself. I could read some of the best writers, study their techniques, and try them out. I could listen to peer reviews and learn how to make my writing better. And I realized that I needed to go about the business of being a writer–which means writing. (1) Decide on a writing commitment and post it where you can see it. (2) Set a word goal. (3) Set aside time every day to write. (4) Be creative in how you motivate and reward yourself. (5) When that distracted feeling comes, realize that at that very moment your brain is working hard. If you don’t yield to the distraction, you may experience a breakthrough. So I jumped into the proverbial pool. I’ve taken on my job of writing with renewed energy and enthusiasm. One of my favorite sites is 750words.com–a simple site that gives me a nice blank page and counts my words for me, congratulating me when I get to the magic 750. It sends me a reminder by email every day, “You should write your 750 words” and it gives me a little hashtag on a calendar to track my monthly progress. 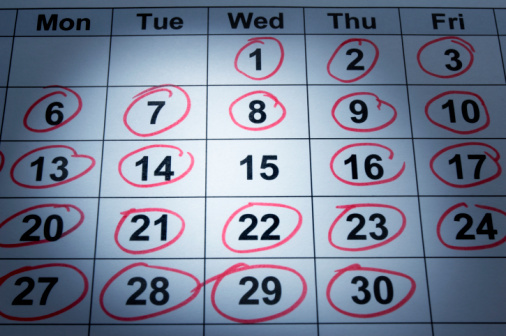 In any case, set a goal and then keep track of your progress. Need writing prompts? Check out these rolling prompts at Writers Digest when you need some inspiration. Need help with not being distracted? Download this program called Freedom. It blocks your access to the Internet for a set amount of time. You will literally be unable to check email or Facebook or the latest news during the time you’ve set aside to write. Great idea, eh? What will they think of next? As citizens of the literary world, we should join our fellow writers in our commitment to write, write, write because, well, it’s what we do. Need more motivation? 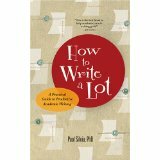 Pick up this little book, How to Write a Lot, by Dr. Paul J. Silvia (American Psychological Association, 2007). He encourages us not to find the time to write but to allot the time to write, treating our writing time as sacred. And, as a busy professional, he understands that writing can involve more than just writing. Perhaps you have to do some research, or review page proofs, or read the book you’re reviewing. Do it during your writing time because “writing is more than typing words. Any action that is instrumental in completing a writing project counts as writing” (19). He especially takes to task those writers who don’t write because they’re waiting for inspiration. “Serious writers write, inspired or not. Over time they discover that routine is a better friend to them than inspiration” (27). His help with setting goals and charting progress is invaluable. It’s an odd task we’ve set ourselves, this thing called writing. We do it because we love it. We do it because we take joy in the look of words on the page and the sounds of words as they bump up against one another. We love to see what happens to the characters in our story. So what keeps you writing? Great post! So many wonderful ideas. Thanks for the reminder about 750words.com and the writing prompts sites.